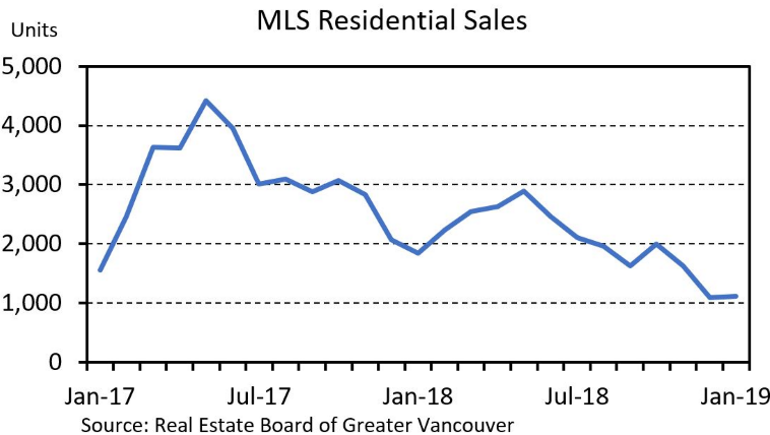 The BCREA Commercial Leading Indicator (CLI) declined by 1.8 points to 134.5 from the third to the fourth quarter of 2018. Compared to this time one year ago, the index is about 1 per cent lower. The British Columbia Real Estate Association (BCREA) released its 2019 First Quarter Housing Forecast Update today. 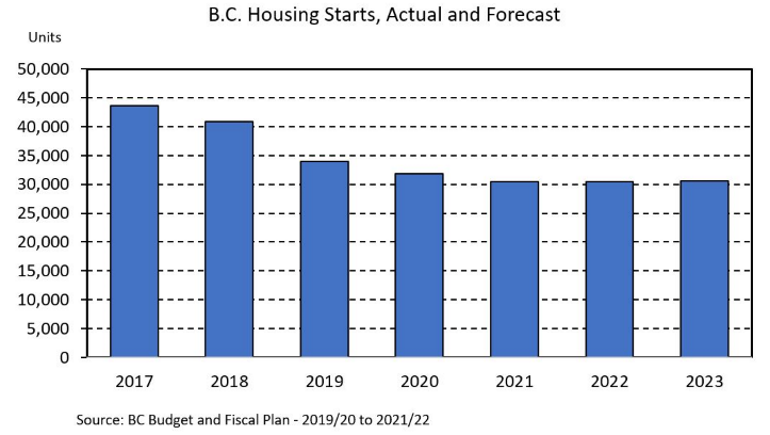 BC Budget 2019, tabled on February 19, 2019 by Finance Minister Carole James, offers nothing to help home buyers – whether they’re first-timers or trading up. The government is forecasting Property Transfer Tax (PTT) revenue to remain at $1.910 billion, despite a significant slowdown in home sales and housing starts. Housing starts fell 6.4 per cent in 2018 and are forecast to drop 16.7 per cent to 34,000 units in 2019 from 40,857 units in 2018 and 43,664 in 2017. Starts are forecast to decline even further to 30,517 units in 2021. Statistics released today by the Canadian Real Estate Association (CREA) show national home sales in January 2019 were up from the previous month but remained below levels recorded one year ago. Thank you to all my clients in 2018 that made this possible. #2 agent in the Royal LePage West Real Estate Services office consisting of 200+ realtors. Honoured to have been presented this award by Phil Soper President and CEO of Brookfield Real Estate Services owners of Royal LePage Canada.